The iGPS watch is exactly what it sounds like. It uses a global positioning system (GPS) to track the location of your child. In our research, we found out that the iGPS watch is typically used for children between the ages of 3 to 13 years. This is a technology that enables kids to safely carry on with their daily activities while giving parents a peace of mind. The GPS Location of the iGPS Watch updates every ten seconds, so you do not have to worry about the accuracy of this device. Also, if you missed anything, you can always browse through the location history. Since we have run an intensive research, rest assured that we will entirely analyze and point out all the aspects in the iGPS watch. A recent partnership with Airfi Networks just shows that iGPS Watch is becoming a major player among its competition. iGPS watch phone is the closest thing to holding your child`s hand all day! This watch has a really simple setup and is pretty easy to use. In order to get notifications from the watch, you ought to have a WeChat app which is free to download over the internet for all Android and iOS device users. What you simply have to do is download the iGPS watch app both on the watch and on your smartphone and connect them in a manner that meets your specific needs. The iGPS watch phone sends an automatic alert to you once your child removes it. Kids can use a readily available SOS button to send an alert or even a call when they feel they are in danger. This scout watch also comes in handy with alert settings which allow you to determine how often you want to receive the iGPS tracking updates. The iGPS watch also has a power mode that allows the battery to last between three to six days. However, the power mode does not send auto alerts and that is why we recommend the normal mode to you. The real time mode sends alerts after every 60 seconds and allows the battery to last for about 6 to 12 hours. In addition, it has a customize option that allows you to put the watch in both power mode, real time and normal mode depending on the location the iGPS watch is located. Finally, you can add up to a total of eleven contacts, which your child can call for help. These scout watches enable the child to stay connected with the parent at all times. It also sends automatic alerts when the child is in danger. This allows the parent to act swiftly. 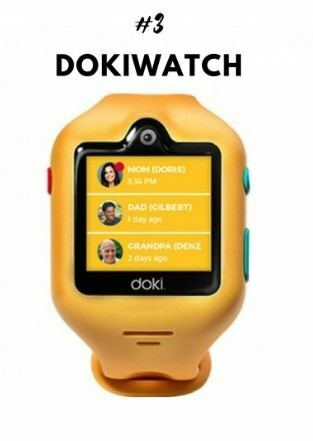 According to iGPS scout reviews, this watch can be used by parents as a listening device. Whenever, the battery is about to die, the iGPS watch always sends a notification before powering off. It is also water resistant and compatible with Android and iOS devices. We discovered that this wizkid phone has a really impressive coverage. Even in places with limited Wi-Fi, you can as well enjoy its services and alerts! From what we have found, its smartphone alerts are splendid and less likely to fail at any point. Of all the kids that have tried the watch, they most certainly have fallen in love with it. It’s really easy to use both by two-year-old kids and even to the elder ones. The scout watch has only three buttons which the kids find very easy to operate. The watch also comes along with a variety of colors such as pink & blue. Kids are therefore able to choose the most appealing to them. The scout GPS tracker reviews confirm that the iGPS watch has an excellent track of location. You can easily keep track of your kid when she is out playing in the neighborhood. The watch allows you to pinpoint the exact location of your child right from the palm of your smartphone. Most surprisingly, the watch also sends the address, the longitude and the latitude of the person wearing it. It replays the path of the person wearing it in a manner that you are able to keep track on the places that they’ve been. The watch allows you to call and listen to the surroundings your child is in. 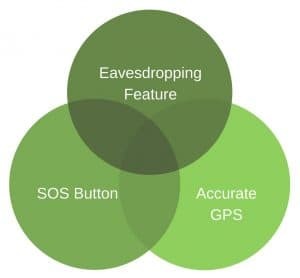 We most certainly think this feature was added to help in cases of missing children, when your kid is at parties and when parents want to check on their kids and make sure they are making good choices. Although we think this watch is satisfactory in relation to many others of its kind, we also think some features should be improved. When the watch is set at real time mode, its battery life becomes very short. It lasts for only 6-12 hours. Much of the language used by the app is Chinese probably suggesting the fact that it is made in China. English words have typos and poor functionality. I hope they will develop another iGPS app soon! Although the geo-fencing feature is lovely to use, setting up perimeters on the app is a difficult task. It becomes challenging making straight lines and defining precise borders. We therefore recommend it best to use a radius instead of drawing the whole fence. The available texting feature is misleading to users. The watch neither allows you nor your child to send text messages. Although the watch has a simple setup process, it sometimes takes a little longer to complete communication between the app and the watch. When this happens, we found out that the best option is to call their customer care. They are really helpful, friendly, and will patiently take you through the complete setup process. We would like to finish by saying that the kids and parents as well enjoyed testing the iGPS watch phone. This was partly because it provided reliable location and communication service between the guardian and the child. If you are looking to securely protect your child in cases of danger, this is one of the best options. Today’s kids are in touch with the technology from very early age, meaning that the intuitive iGPS watch will be no problem handling. It is a great alternative for smartphone, and since it is wearable, you do not have to worry that your kid is going to drop it or lose it somewhere. The Real time tracking with great accuracy, location history playback, SMS texting and voice calling, setting safety zones, pedometer, SOS button and the eavesdropping are just some of the features that this phone watch holds. 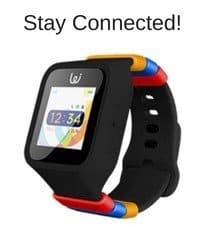 The iGPS watch is very smart device, so you do not have to worry if your kid is in danger, the iGPS phone watch will send you alert in just a few seconds. Your kid is going to fall in love with it, you are going to love it, so why wait?